This winter, I've been practically living in my Smooth Sailing Trousers from Wearing History. I'm so excited that they came out with a plus size range because there's such a lack of well fitting vintage style pants for curvy girls. When they arrived, I slipped into them and it was like they were custom made for me! The fit was perfect and surprisingly, so was the length. I'm pretty tall at 5'7 so I usually find that pants could be a tiny bit longer but these were perfect. For those that are taller, there's a very deep hem that could be easily let out to adjust for longer lengths. Another curvy girl problem with high waisted pants is that the waist band often rolls or folds. I don't know what magic was involved in these because the waist band stays put all day, through romping with the kids, hiking around in the country or just sitting at home. The cotton indigo denim is sturdy but soft and best of all- machine washable! They zip up the side and close with one button. I can't rave enough about how comfortable and flattering these wonderful trousers are. The front pleats completely conceal my lower belly "mom pooch" and they're smooth over the rear. They don't ride up like some high waist pants can. Definitely a great investment piece for your vintage wardrobe. 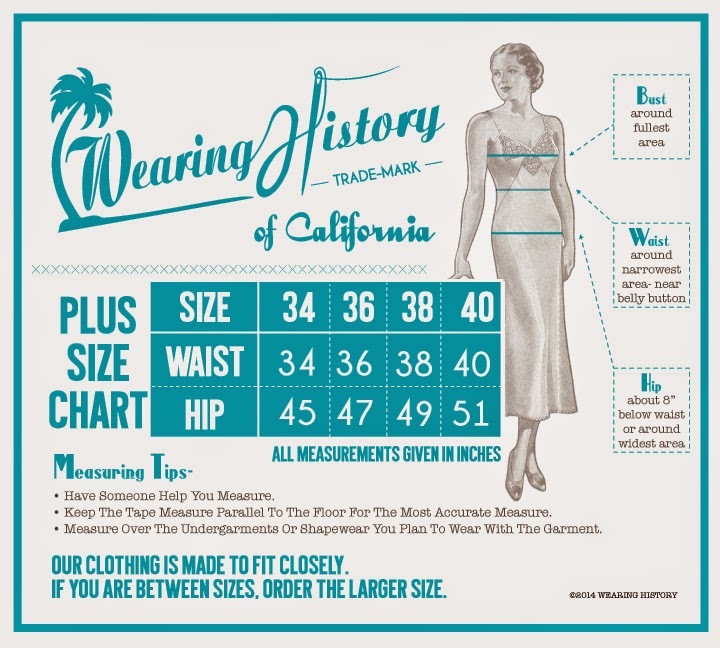 Wearing History sizing runs different than other brands, so be sure to check their various size charts for a perfect fit. My measurements are 44-35-46 so I ordered the size 36. 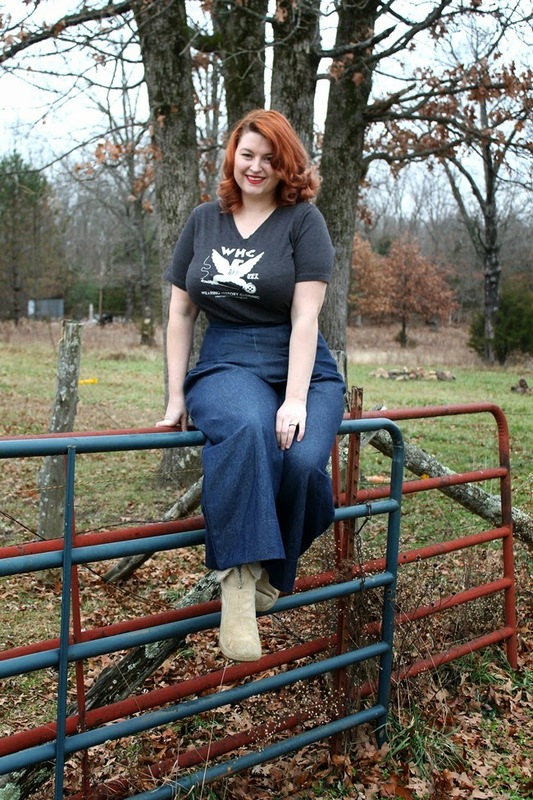 Disclosure: Wearing History is a sponsor of Va-Voom Vintage. Smooth Sailing Trousers provided c/o Wearing History. All comments and reviews are my own. I have Heyday trousers too and I love them! I bought them probably two years ago and after a million wash and wears, they still look brand new! These don't have a cuff like heyday trousers but they do have a deep hem, which I love, since I'm so tall. I also like the zipper as compared to the buttons up the side because it's less fiddly in the bathroom or changing room. Heyday pants have darts in the front and WH has pleats, so the fronts lay a little different. If you have a lower belly like myself, I think the pleats do a better job of hiding it but if you have a fairly flat tummy, the darts are nice so you don't have added bulk. I think WH pants might have a wider leg and more crotch length but I'd have to measure to be sure. I compared the two size charts and WH gives an extra inch in the hip on all sizes compared to HD. WH also goes up to a size 40 inch waist. Heyday does offer more color and fabric choices in their trousers. I love these pants. I'm so short though that anything I buy has to be hemmed. These pants look comfy and great on you. Thanks for sharing. These trousers look so fabulous on you. So figure flattering! They are quite comfortable almost like wearing pajama bottoms. They look great on you! It's hard to find troussers that look wunderfully vintage and fit well. I'm also curvy and always on the search for inspiration and so glad that I found your blog . Oh, you are sooooooooooo right on. 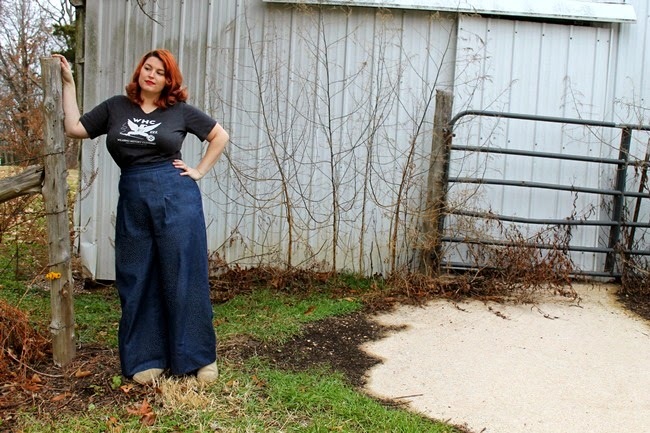 There is so much lacking on plus size vintage pants. 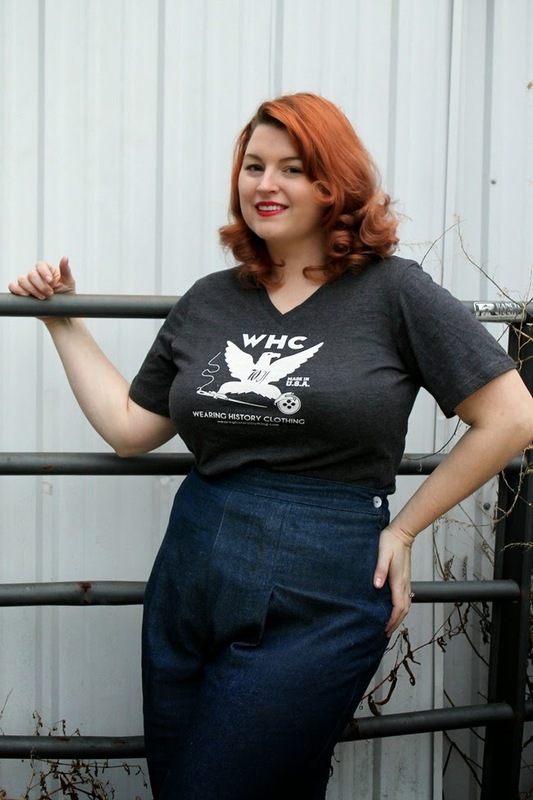 I have tried oodles of brands including original plus size vintage and never feel comfy. Though my forever 21 high waist skinnies are so far doing the trick, it's not as period correct as I would like to own at least one pair of vintage period era style pants. Since we're the same size, it really helps me to know that they fit and look awesome on you and will do so on me as well. A little long is no problem. I love a good cuff! They look fabulous on you! It's great to hear yet another positive review of this brand - I've been debating between a pair of these and a pair of jeans from Freddies of Pinewood, and I think these have pulled into the lead. Goodness, these are fantastic! I love the width of the legs and where they hit on the torso. I am officially smitten with Wearing History's offerings and really, really hope to be able to add some of their garments to my closet one day, too.